Project Learning Tree (PLT) is widely recognized as one of the premier environmental education programs in the world. Through hands-on, interdisciplinary activities, PLT helps young people learn how to think, not what to think, about complex environmental issues. Project Learning Tree provides strategies and techniques to teach about topics such as forests, wildlife, water, community planning, recycling, and energy. PLT is environmental education program of the American Forest Foundation. Delivery of PLT professional development and materials is implemented at the state and local level. This approach provides opportunities for place-based learning, inquiry-based local investigations, service-learning projects, and partnerships with local resource professionals. It also facilitates adapting the program to meet local needs, thereby raising community support and student motivation. Six-hour Project Learning Tree workshops—participants receive PLT training, as well as the PLT K-8 Environmental Education Activity Guide. This workshop is also appropriate for educators who work with high school students. Project Learning Tree Secondary Module workshops—these shorter workshop offerings provide participants with PLT training to use the Secondary Modules, which are intended for grades 8-12. Module topics include Focus on Forests, Focus on Risk, Municipal Solid Waste, Forests of the World, and Places We Live. The Biodiversity module is available online at www.plt.org. Project Learning Tree Early Childhood workshops—participants receive PLT training, as well as the Environmental Experiences for Early Childhood guide. To develop students’ awareness, appreciation, skills, and commitment to address environmental issues. To provide a framework for students to apply scientific processes and higher order thinking skills to resolve environmental problems. To help students acquire an appreciation and tolerance of diverse viewpoints on environmental issues and develop attitudes and actions based on analysis and evaluation of the available information. To encourage creativity, originality, and flexibility to resolve environmental problems and issues. To inspire and empower students to become responsible, productive, and participatory members of society. Project Learning Tree began in Missouri in the mid-1990’s, with the Forestry Division at the Missouri Department of Conservation (MDC) as its first sponsoring agency and providing its first state coordinator. After several years within the Forestry division, PLT moved to the Outreach and Education Division and MDC Education Consultants and other trained facilitators continued to provide PLT workshop offerings state-wide. 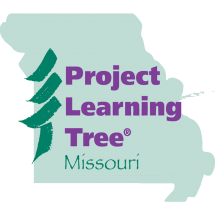 In 2014, transfer of Project Learning Tree became official and Missouri State University is now the sponsoring agency and houses the state co-coordinators for Missouri PLT. Project Learning Tree began in 1976, with a group of classroom teachers and environmental educators who provided activity ideas as part of a workshop with the American Forest Institute (now the American Forest Foundation) and Western Regional Environmental Education Council (now the Council of Environmental Education). The goal was to develop an unbiased, educationally sound program for elementary and secondary students and their teachers. By the end of the 1980’s, 49 states were offering PLT workshops and by 1994, the final state(it was Missouri…) picked up PLT, along with many international countries. Thanks to the generous support of the American Forest Foundation, the K-8 PLT Activity Guide has been re-printed and revised numerous times through the years and continues to grow in programming options. The latest version of the K-8 Activity Guide was produced in 2005 and is currently undergoing another revision that will incorporate national math and English/Language Arts standards, as well as science standards. It is anticipated that the new guide will be available in 2016. Throughout the years, the high school Secondary Modules were produced and have been revised, while the Early Childhood Activity Guide came along in 2010. Project Learning Tree continues to add to its programming opportunities by also providing GreenWorks! Service Learning Grants and Greenschools! programs for schools and educators.